Head of PA Prisoners' Club blasts decision to reduce PA funding to terrorists' families. 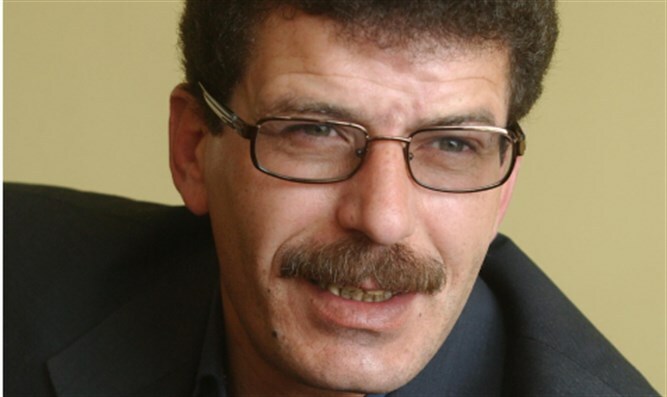 Qadura Fares, head of the Palestinian Authority (PA) Prisoners' Club, on Sunday blasted the decision of the Ministerial Committee for Legislation to support MK Elazar Stern's (Yesh Atid) bill to deduct from Israeli funds to the PA the amount of money provided by the PA to terrorists and their families. Fares referred to the decision as "theft of Palestinian money." He accused the "occupying state" of implementing a plan intended to incite against the PA in an attempt to stop international aid for it, a plan which he said was thwarted thanks to diplomatic work by the PA.
"This attempt by Israel is part of the pressure it is exerting to tarnish the Palestinian fight against terror and turn the tables on what is called the war on terror so that it will apply to the Palestinian martyrs and prisoners who have fought to achieve freedom," Fares charged. The official PA news agency Wafa reported that Fares stressed that Israel's efforts would not help, because Israeli legislation violates PA laws regarding the families of “martyrs” and prisoners. MK Stern's proposal is expected to be approved this week in a preliminary reading, but will not be advanced in the Knesset until it is merged into a government bill that is to be prepared on the subject. Stern was formerly the IDF chief personnel officer. The committee approved the bill despite it originating from an MK in the opposition. Education Minister Naftali Bennett and Justice Miister Ayelet Shaked, both of the Jewish Home party, demanded that Prime Minister Binyamin Netanyahu support the bill Sunday morning.